Too often, when talking to recruiters, we find out that CVs contain errors, inaccuracies, and White spaces, voluntary or not. We also discover that the CVs do not contain certain important information. All this does not help you to get an interview for a job or an internship. New Job Media offers you a free help reorganize your CV, review the form and the content. You find these tips in "My CV tips" section. To create your CV, you can use the model of New Job Media that you can download freely. Then, we explain how to fill the boxes according to your profile. Then, when your resume is done, you can attach it to your profile on New Job Media, and then either ask verification of your CV or send it by New Job Media to businesses. Here is a resume template that can be downloaded for free. Most recruiters like this format for classical disciples such as: economics, finance, engineering and the sciences. Alternatively you can upload your own design. The resume: pdf or doc? Which format should you choose? 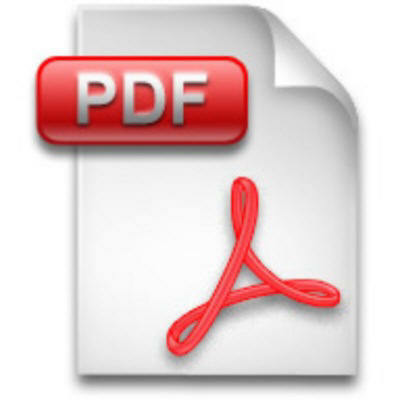 Ideally, you should create a pdf resume because it is the most easily readable format. 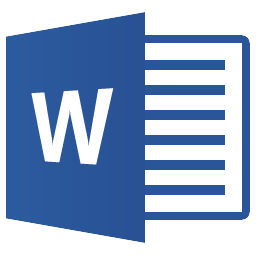 If you create your resume in the latest version of Word, you can install free software to create a pdf. It works like a printer: once you open your resume, you can print to the pdf creator. Put your full name in large and bold font. Then underneath write your address, your phone number and your e-mail address. Make sure to check your e-mails regularly and respond to recruiters quickly. If you cannot respond fully, simply reply that you will get back later. There is nothing worse for a recruiter than to have no news. Title must contain the name of your diploma, so the recruiter can identify you quickly. Later, when you have more experience, you will be able to indicate your specialty. Clearly write your diploma dates in the left column. In the right column, write your diploma name in bold and the name of your school in italics, for example. Did you get distinctions? Make a note of them. If you are still in examination stages, make a note of your school term dates. Recruiters will understand that you haven not finished your diploma yet. If you have spent a year in another school, note it down. You can also indicate the TFE under your diploma, as well as an eventual Erasmus or another exchange program. You don not need to indicate the year but only the start date and end date of your diploma. If you have a Masters, you don not need to write down your diploma, unless it is different from your Masters, but indicate the start date that corresponds to the start of your Bachelor degree. It is not necessary to include any schooling below high school. Diplomas in first aid, languages etc should go to the -Other trainings- section. Create three subsections. The first will be called "Internship-jobs": Put in here experiences that concern relates to your future, internships or jobs -remunerated, or not- and organize them by date. The most recent experience will be the first. Second subsection: "student jobs". Have you worked as a server in a restaurant? You can add that to this section (no need for details). Third subsection: "Other experiences". Have you been a member in a students association? Have you Volunteered for and organisation? Scouting? Write them all down here. Indicate your mother tongue and your proficency level in other languages. You can use the European classification. If you are ready to follow language course for your future job, then make a note of it. If you finish in 2-3 years, take the chance to follow a course or make an exchange with another student to imrove your mutual language skills. Find the relevant student associations. Indicate your proficiency in office software and also in some specialized software that you might have used. Note down your interests, just being aware that recruiters look at this information because it gives them an indication of your persoality. Registering online means that recruiters can easily search for your skills and experiencee. Also New Job Media helps you by allowing you to send your resume to several recruiters at the same time. After registering, go to the Jobs or Internships sections (on the horizontal menu at the top of this page). We can correct your resume if required: after having registered online, go to the Buzz and click on the option of checking your resume. Once your CV is ready, you can send it to companies that hire through -My jobs- sections or - My internships - section. Discover how this service works.